"Are you looking for a agency with caregivers that you can trust?" Beverly’s Angels Senior Care opened its doors for business in January 2001. Our home office is located in the heart of bluegrass country in Paris, Kentucky. We have grown to provide services throughout central Kentucky. From the beginning it been about helping families so their loved ones can stay in the comfort of their own home. Many families tell us that the most important thing that we provide is peace of mind knowing that their loved ones are safe and well cared for. We provide non medical in-home senior care 24 hours a day 7 days a week. A client care manager is always available including nights and weekends. Our caregivers are compassionate, trustworthy, and reliable. They have a real passion to help seniors stay in their own home. All caregivers are covered with liability insurance, workers’ compensation insurance and are bonded. 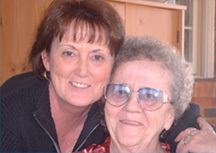 Our clients are fully protected when they choose Beverly’s Angels Senior Care.